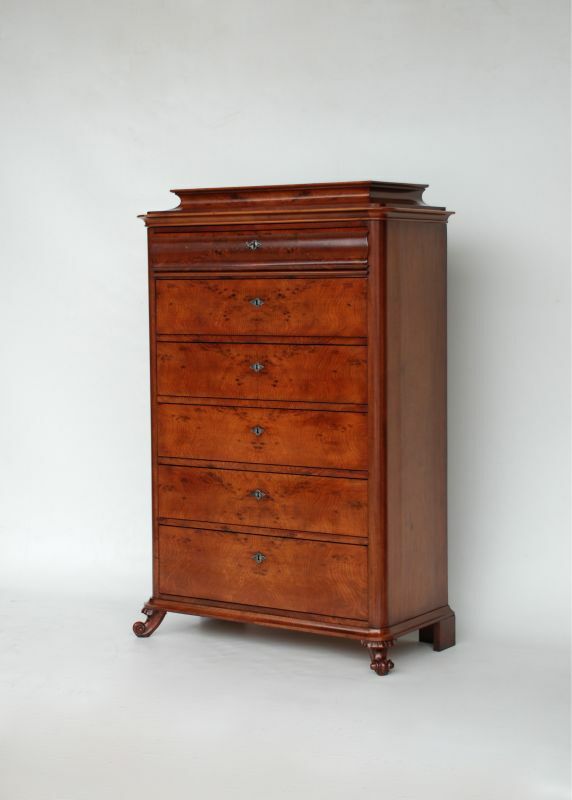 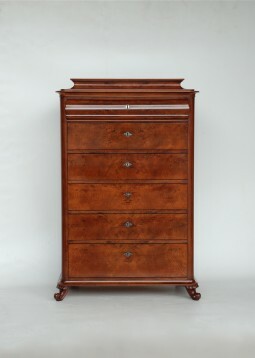 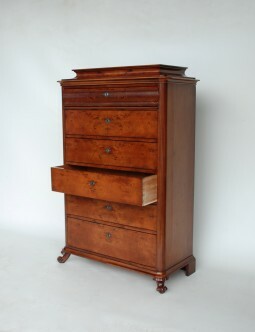 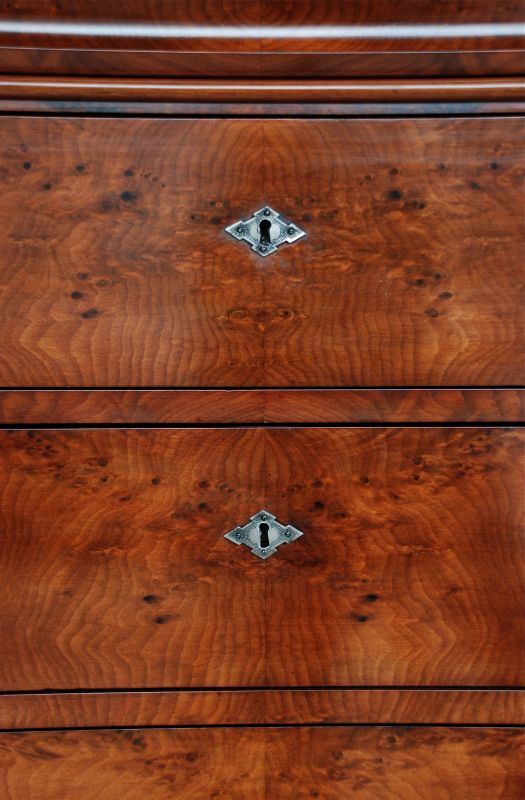 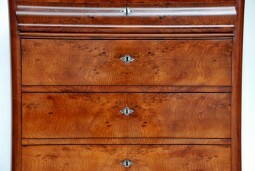 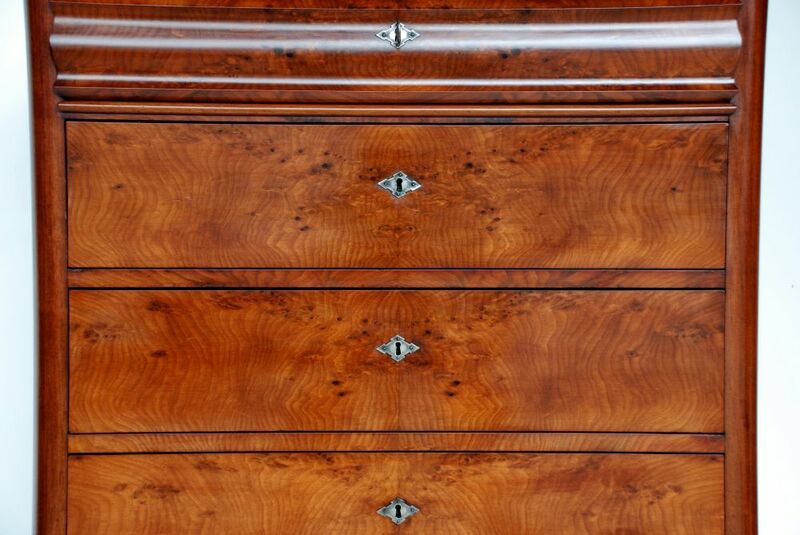 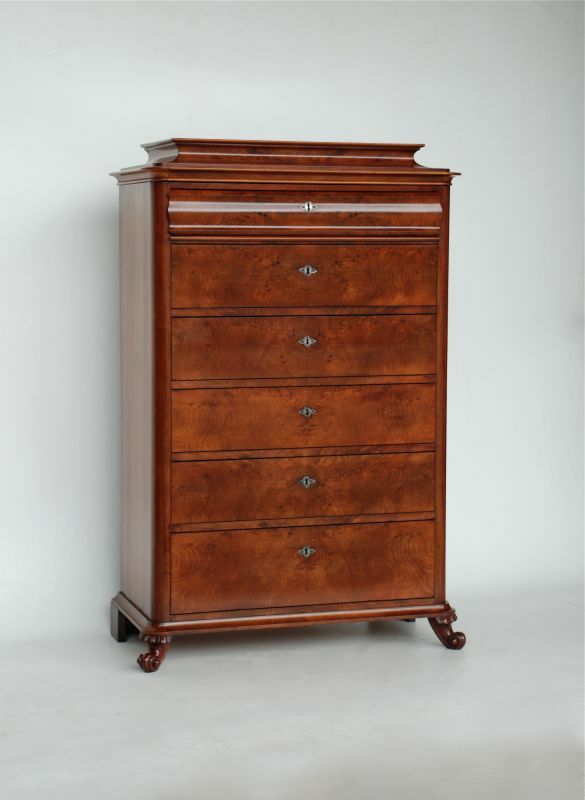 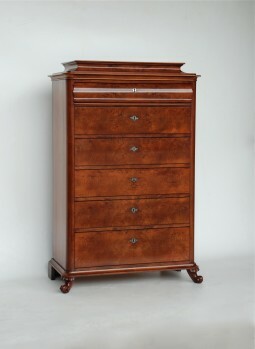 A tall chest of six drawers in an unusual cut of burr mahogany from Scandinavia. 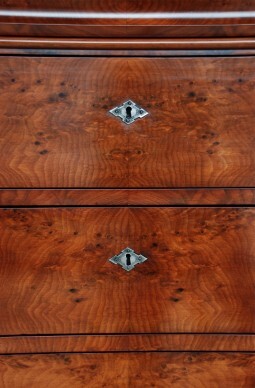 c1880. Even in the 19th century they were interested in clutter free design. 38½ inches wide, 18½ inches deep and 59½ inches high. 98 cm wide, 47 cm deep and 151 cm high.